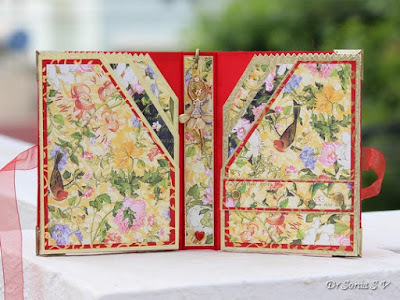 featuring multiple pockets made with the Crealies Cardzz No 6 die. 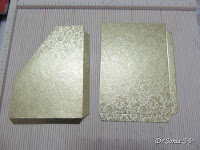 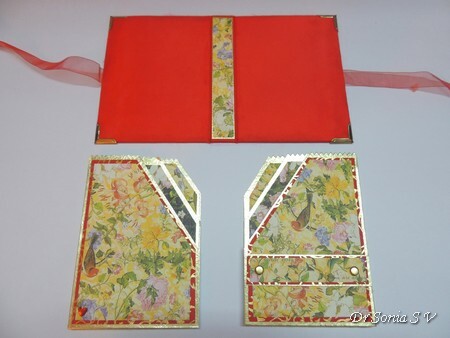 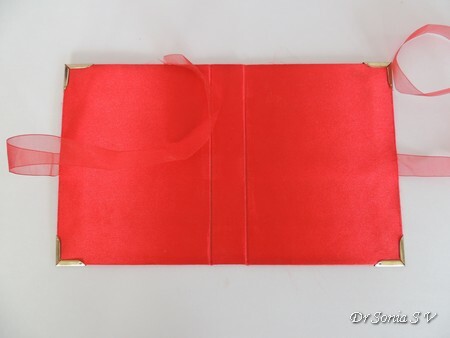 Each side of this mini album has 3 pockets and the right side also has an additional band [secured with brads] which can hold mini notes or tags or even a pen. 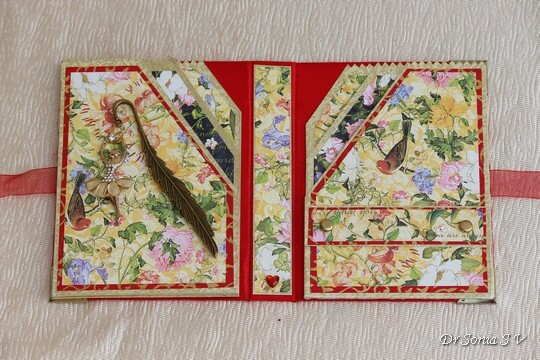 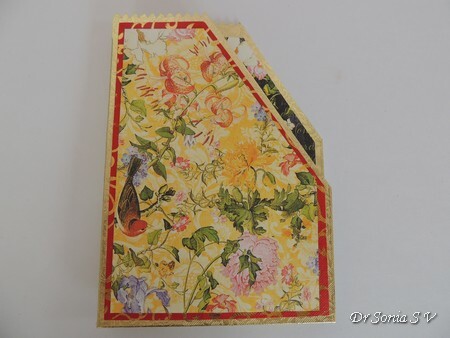 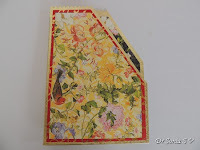 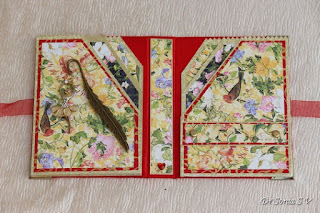 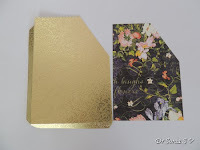 I also made the flower girl bookmark to match with the theme of my mini album. 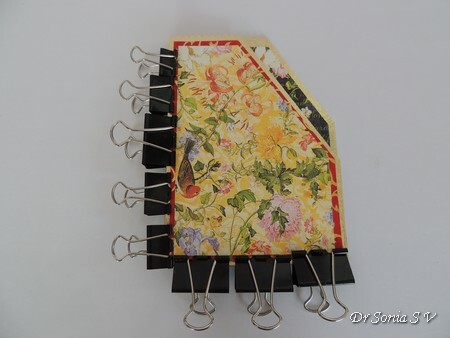 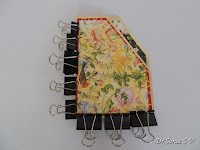 Making pockets the conventional way does require a lot of measuring and folding.Here is how you can make one easily and quickly using the Crealies No 06 die. Layer on it some pattern paper and you have your top most pocket. 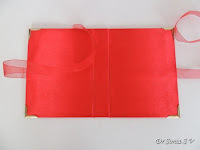 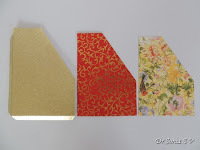 Apply glue to the tabs of the Cardzz No 6 diecut and stick the first pocket on top of the 2nd.If you are using liquicd glue and thick cardstock like I did, using binder clips to help keep the parts together while the glue dries is an easy option to get good adhesion. 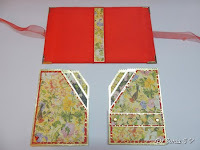 Here is how it looks with 2 pockets...you can add more pockets by snipping off triangles of different sizes from the top corner of the diecut made with the Cardzz No 6 die. 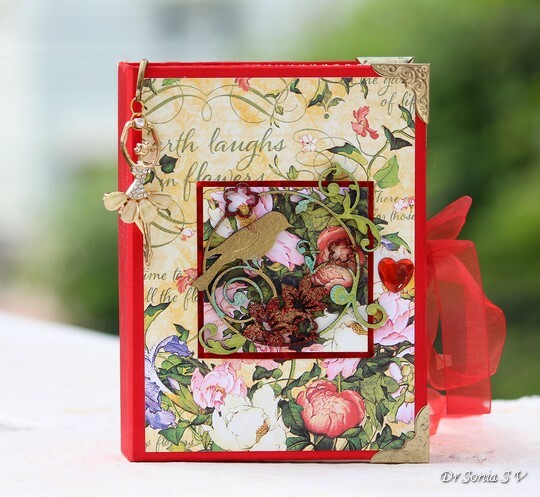 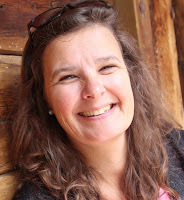 Very beautiful Sonia, makes me want to have this die!